I’ve been doing more work in Japan recently and have gotten some encouraging results and comments. Because of my love for Japan, and because I speak a little of the language, I feel very comfortable designing and working with Japanese text. This helps a great deal as I’ve been working with these wonderful organizations. This organization wanted to run a Photo contest to showcase photographers young and old in their city and also to promote city wide pride. 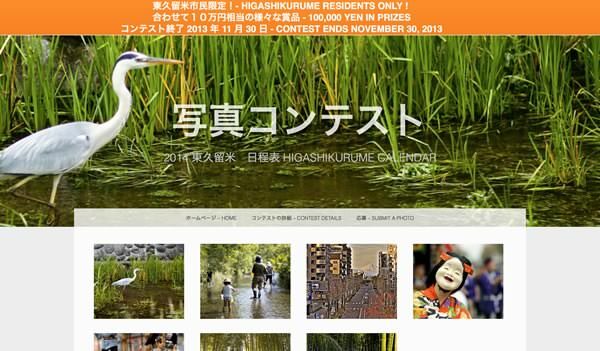 A company which does photo contests as their main business wanted to charge them approximately $5000. This was beyond their budget so they approached me to see whether we could reduce that cost by using WordPress as our back end. WordPress along with Gravity Forms was a perfect solution for their photo contest. In the end we saved them almost $3500 from what they would have been charged. And I have a good template to produce other Photo Contests.